Chris comes with an extensive background in social work for the past fifteen years, which means that she is skilled in showing empathy and can really listen to what is being said. She believes in clear communication and has great facilitation skills, which goes hand in hand when negotiating for her clients. With this prior experience, Chris is able to work in high pressured situations while maintaining a positive attitude and professional outlook. She comes with a passion for community and for working with people. 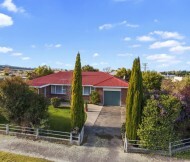 Having lived and worked in North Canterbury for over 10 years while raising a family in this area on a lifestyle block, this has allowed many days at the local rugby clubs and local pony clubs as well as participating as a board of trustee member for her children’s school. While her family are growing up and moving on, Chris continues with her passion for horses, riding and all things equestrian. Chris also loves to enjoy nature whether that is walking on the beach or tramping up a mountain. Taking on the challenge of her real estate profession, Chris is very motivated and enthusiastic about working with her clients and assisting them to achieve their real estate goals. With a passion for networking and a love for her community in Rangiora and North Canterbury, she really believes this will assist her clients in working with a salesperson who genuinely loves where she sells! Chris is committed to treating people with respect and dignity and with a friendly approachable manner. In alignment with company values, doing what she says she will and following through every time shows her commitment and will allow her to get the best results every time. Chris certainly doesn’t shy away from hard work and loves a good challenge! Contact Chris today for a free no obligation market appraisal or to discuss your property needs. Ready For Your First home or To Downsize?